Huge props and congratulations to my wife for her art show! 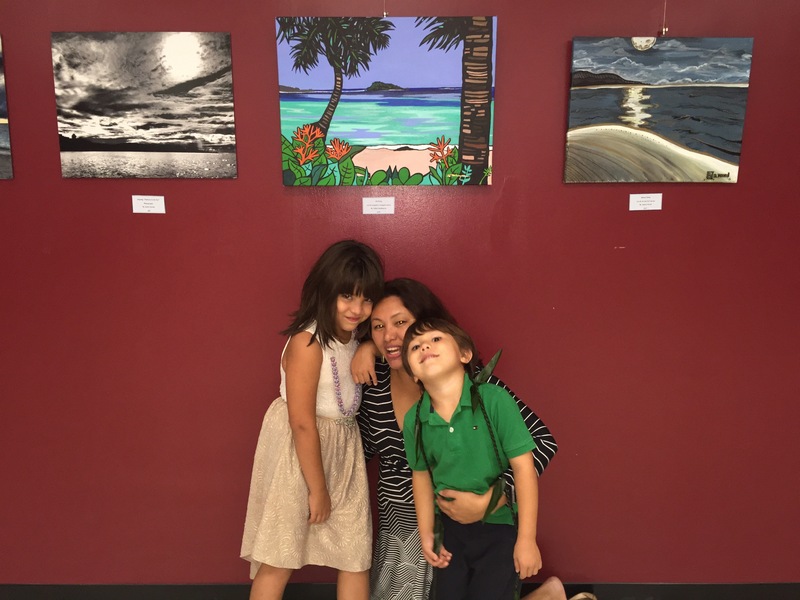 9 Views of Guam opened on Friday December 4th at the CAHA art gallery in Hagåtña. Taliea and two other artists, Jessie Snyder and Amber Word, took to the social media sites several months ago and asked for people to submit their favorite locations on Guam. Each artist would then create a piece inspired by that location. Nine locations were requested, so the show features 27 original works of art. The Pacific Daily News featured the show last Friday. This entry was posted in Art, Taliea on 12/08/2015 by Thomas.